University of Maine at Farmington's Director of Athletics, Julie Davis, is pleased to announce the hiring of Nathan Kronewetter as the head men's soccer coach after an intensive search with a deep pool of applicants. Kronewetter will join UMF on May 1. Kronewetter comes to the University of Maine-Farmington from California State University Monterey Bay, where he was the women's assistant soccer coach and interim head soccer coach. At Monterey Bay, an NCAA Division II college, he ran the day-to-day operations and oversaw all aspects of a transitioning program. "I am very honored that I have the privilege to lead the next chapter in development and growth of the men's soccer program at the University of Maine at Farmington. It was very clear from the start that my values parallel the vision at Farmington and I am excited to help the student-athletes progress as young adults and as ambassadors for the Farmington community. I would like to acknowledge and thank Julie Davis for all of her efforts and honesty throughout the process, as well as all of the faculty and staff who made it possible for me to join the UMF family," said Kronewetter. 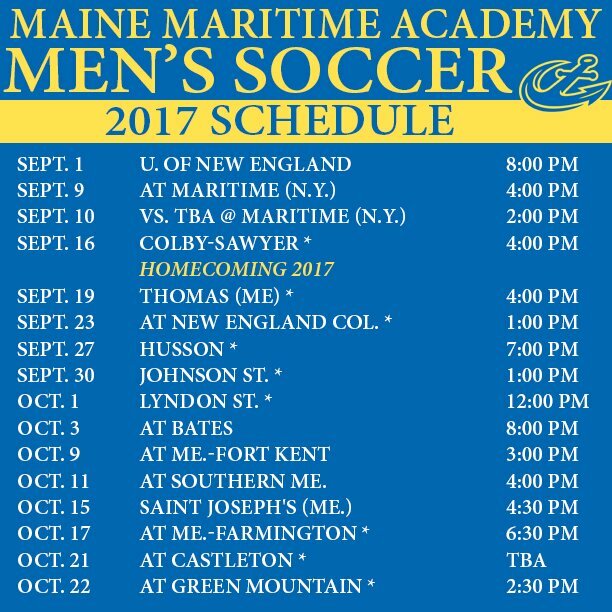 WATERVILLE, Maine -- With a new soccer field for 2017, the Colby College men will open the season at St. Joseph's College on Tuesday, Sept. 5, at 7:30 p.m. The Mules, under head coach Ewan Seabrook, open with a tough league schedule. Colby plays at defending national champion Tufts University in the second game on Saturday, Sept. 9, at 2:30 p.m.
Colby's home opener will be on Tuesday, Sept. 12, in a tough non-conference game with local rival Thomas College at 4 p.m. The Mules then have weekend home games against Williams College (1:30 p.m.) Saturday and Connecticut College (2:30 p.m.) on Sunday. The Ephs and Camels both finished among the top four in the league last year. The Mules (5-8-2 overall last year) play at University of New England at 7 p.m. on Wednesday, Sept. 20, in the only other night game of the year. Colby has a big league game with Trinity on Saturday, Sept. 23, at home. The Bantams finished one-half game ahead of the Mules for the final conference playoff spot in 2016. The Trinity contest is the day Colby dedicates the new soccer field, currently being built behind the athletic center. Colby will have two non-conference games and two road league games after the Trinity contest. The Mules add Gordon College to the schedule for a 4 p.m. home game on Tuesday, Sept. 26. After a road contest at Middlebury College on Saturday, Sept. 30, Colby will host Husson University on Tuesday, Oct. 3, at 4 p.m. The Mules play at Wesleyan University on Saturday, Sept. 7. Amherst, which finished first during the regular season last year, comes to Waterville for a 1:30 p.m. game on Saturday, Oct. 14. 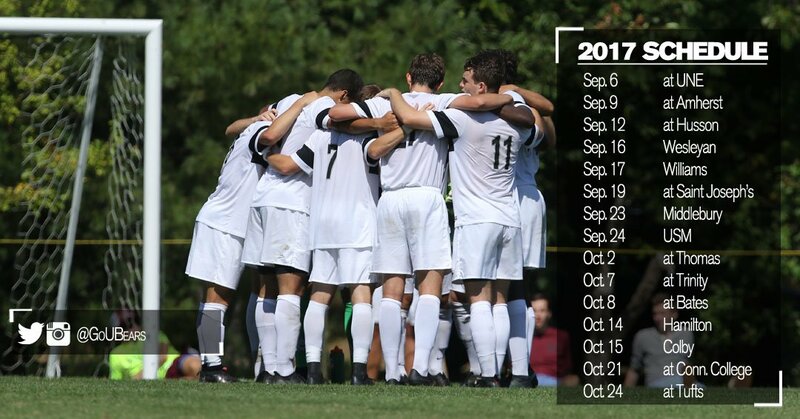 The Mules will play at Bowdoin College for a 2:30 p.m. start on Tuesday, Oct. 17, during Colby's fall break. The final road game of the season is the long bus trip to Hamilton College for a 1 p.m. start on Saturday, Oct. 21. Colby closes out the regular season on Wednesday, Oct. 25, with a 3 p.m. home game with Bates College. Tue., Sept. 5: at St. Joseph's, 7:30 p.m. Sat., Sept. 9: at Tufts, 2:30 p.m. Tue., Sept. 12: Thomas, 4 p.m. Sat., Sept. 16: Williams, 1:30 p.m. Sun., Sept. 17: Connecticut College, 2:30 p.m.
Wed., Sept. 20: at U. New England, 7 p.m. Sat., Sept. 23: Trinity, 1:30 p.m. Tue., Sept. 26: Gordon, 4 p.m. Sat., Sept. 30: at Middlebury, 11 a.m. Tue., Oct. 3: Husson, 4 p.m. Sat., Oct. 7: at Wesleyan, 2 p.m. Sat., Oct. 14: Amherst, 1:30 p.m. 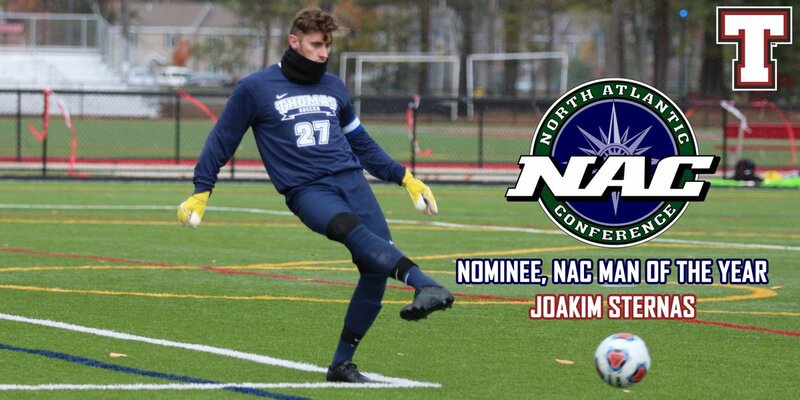 Tue., Oct. 17: at Bowdoin, 2:30 p.m. Sat., Oct. 21: at Hamilton, 1 p.m.
Wed., Oct. 25: Bates, 3 p.m.
75 day until @HussonMSoccer home opener against @usmhuskies on September 5th at 5:00 pm!